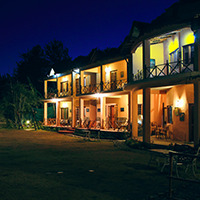 Our Mukteshwar property is located at an altitude of 6800 ft with a 360 degree panoramic view of the snow clad Himalayas. It snows here often in winters. 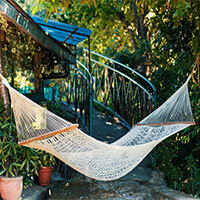 This colonial villa is only a 1 ½ hours drive from Green Glen Sattal. 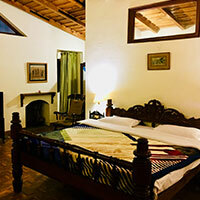 This den has a lush green garden, four colonial spacious rooms with a living room, kitchen and sit outs. 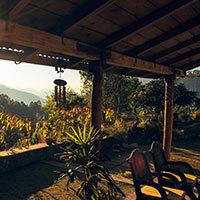 For those uninitiated, Mukteshwar is a quite a beautiful hilly retreat. 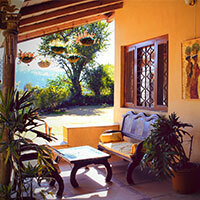 We are located close to a village which is motorable right to the villa with a few steps. 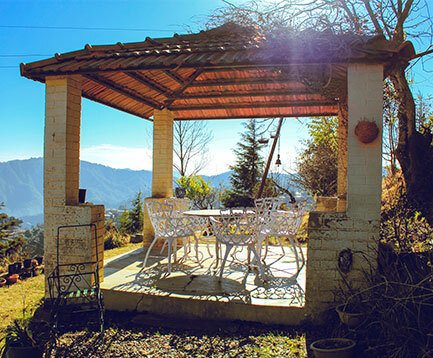 The cool zephyr, clear sky and clean air even during the peak summers when even Nainital uses ACs has made Mukteshwar as the most favoured Holiday destination now. 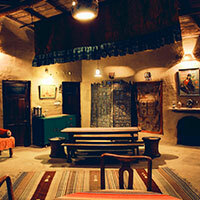 Ten guests can be accommodated comfortably at any one time. The picture gallery speaks for itself about its aristocratic grandeur. Please address all your enquiries at bookings@greenglen.in and mention ‘Green- Glen Mukteshwar’ or just call us for reservation.